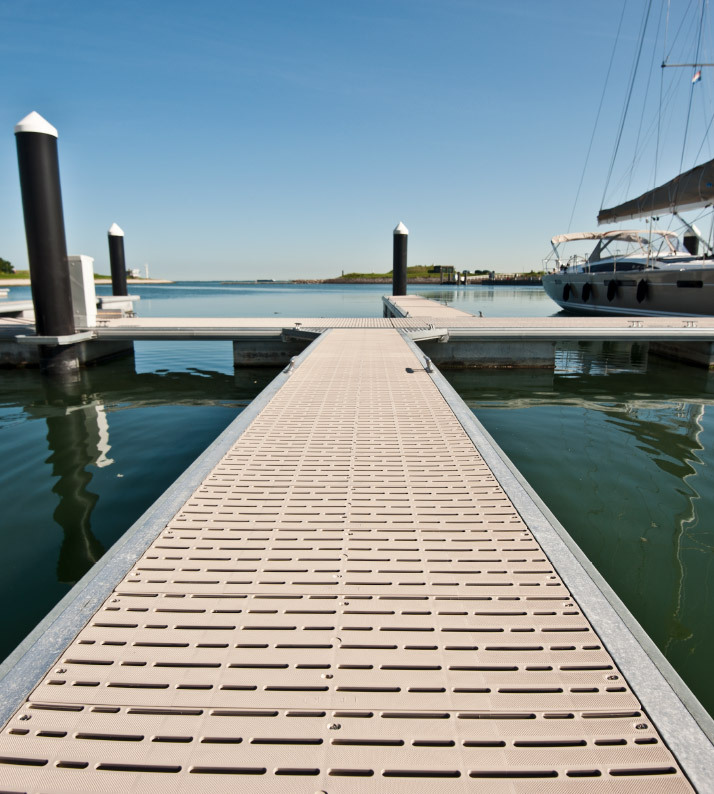 Titan Deck is the top choice for commercial boat piers, marinas, and marine docks. 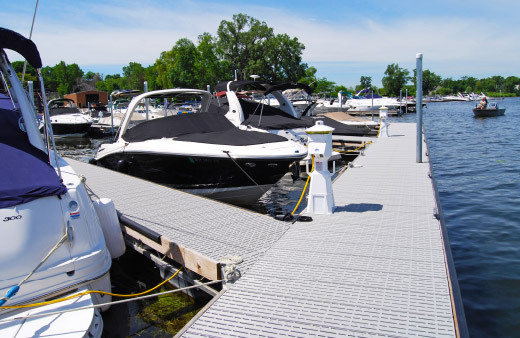 From gangways and stairways to section decking, our dock decks will add to the appearance, safety and durability of your commercial dock system—no matter how large or small. Titan dock decking will take everything you and Mother Nature can throw at it. All of our decking options are totally maintenance free and environmentally safe, with a non-slip surface that is barefoot approved and safe for the smallest of feet. Made of durable 100% polypropylene plastic, Titan marine decking is built to last a lifetime, even under heavy year-round usage. As we like to say—walk all over us, we can take it. What’s more, Titan decking has been tested in temperatures ranging from -25°F to 120°F (-32°C to 49°C). It’s also UV protected to minimize fading over time. All this, plus our dock decking materials are covered by a solid 12-year limited warranty. Anywhere dock systems or platform walkways are used, Titan Deck can provide the perfect decking option. 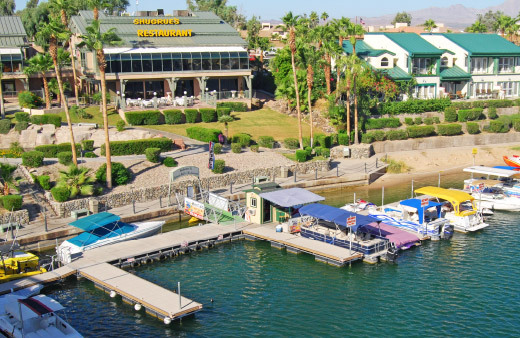 Make your marina boat dock the envy of the waterfront with Titan Deck. 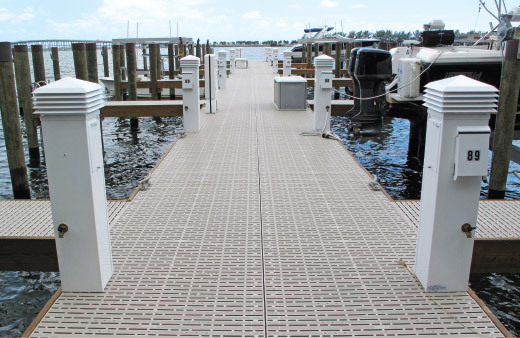 Upgrade the looks, safety and walkability of your boat pier with Titan decking. Watch your business traffic grow with Titan dock decking. 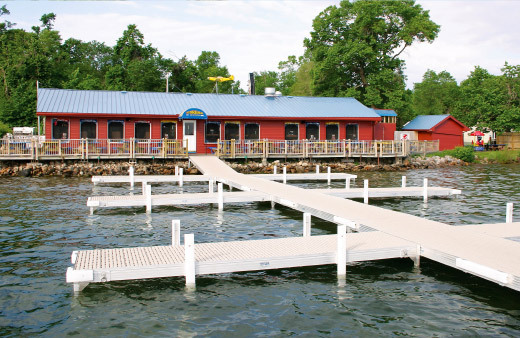 Give your restaurant added style and safety with Titan marine decks.